Do you dread the arrival of summer (and pollen!) each year? Read eight tips from a doctor to help you get your child (and you) through hay fever season. As spring and summer hits it’s tempting to throw open all our doors and windows, and spend as much time outdoors as possible. But what if you or your child suffers from hay fever? And rather than inhaling flowers and rolling around on grassy banks in the sunshine, you’re sneezing into a tissue, or peering out through red, swollen eyes? Or worse, struggling to sleep? According to Allergy UK, hay fever (also known as allergic rhinitis) affects between 10% and 30% of all adults and as many as 40% of children. And as many as 57% of adults and up to 88% of children with hay fever suffer from sleep problems. But while hay fever can be horrible, there are things you can do to help minimise your exposure to, and symptoms from, it – for you and your child. Dr Preethi Daniel of London Doctors Clinic shares eight tips to help get you both through hay fever season. If your child is experiencing symptoms at home, the problem might be in microscopic mites that live in house dust, or dust that enters your home through open windows. You can also carry pollen indoors on your clothes, hair, and body when you come back home from a day outside. In order to prevent your child experiencing the symptoms of hay fever at home, it’s important to prevent pollen entering your home where possible. One way to do this is to keep your doors and windows closed, from early to mid-morning, and in the late evening. Another way to help prevent the symptoms of hay fever is to create barriers to the pollen. I recommend smearing a thin layer of vaseline just inside your child’s nostrils to help catch most of the incoming pollen. And to stop the pollen getting into their eyes, put a pair of tight fitting sunglasses on them before they go outside. Ask your doctor’s advice on suitable nasal steroid drops, anti-histamines and eye drops. Applying eye drops frequently will help to keep your child free of symptoms. Anti-histamines, meanwhile, will eliminate the major symptoms, such as a runny nose, itching and sneezing. Some need to be taken several times a day, either as preventatives before the peak pollen count, or during the season as soon as you start to develop symptoms. Some anti-histamines are in a syrup form to make them easier for children to take. However, not all are suitable for young children, particularly babies, so it’s important to check in with your doctor to see what the best options for your child are. All anti-histamines are just as good as each other. The newer generation ones come with lesser side effects such as drowsiness and a convenient once a day dose. Include omega fatty acids found in oily fish, flax seeds, avocado and nuts in your child’s daily diet to boost their immune system, as they have an anti-inflammatory advantage. Vitamin D is responsible for a healthy immune system, and this can be found in small quantities in some vegetables, eggs, and soya milk. And add more carotenoids to their diet, as they act as antioxidants. Those can be found in carrots, apricots, pumpkins and spinach. It is important to stay hydrated. Dehydration has a bad effect on your skin, intestines and joints, which deprives us of the ability to function normally, and will aggravate the situation. 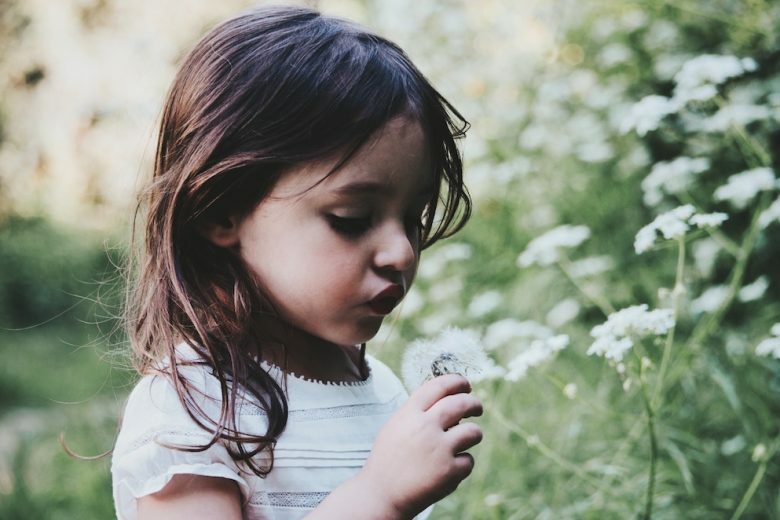 Pollen can stick to your child’s hair and clothes when they are outside, allowing the allergens to enter your home and lead to further discomfort. One way to combat this is to ensure that they change their clothes and get them to have a bath when they come back inside. It’s also a good idea to dry their clothes indoors after washing them, to stop them becoming full of pollen again. Eating a spoonful of honey can reduce hay fever symptoms as the bee pollen will make you less sensitive to other pollens. For the best result, it’s recommended to use the local honey from your area. However, it is important to remember that children under the age of one cannot consume honey as it can have a negative impact on their digestive system.